You’re reading How to Network without Face-to-Face Interactions If You’re an Introvert, originally posted on Pick the Brain | Motivation and Self Improvement. If you’re enjoying this, please visit our site for more inspirational articles. Networking opens many doors for entrepreneurs. This is a sure-fire way to get people interested in your services, find loyal partners, and most importantly, attract new customers. But things are not that optimistic if you’re an introvert like me. A lump in the throat, racing heart, shivers up and down the spine, – that’s how it feels to speak to the crowd of strangers at another local event. And how to network under such conditions? A hesitant speech isn’t something your target audience will fall for. You must present yourself as a confident, knowledgeable, and somewhat witty speaker, otherwise you’ll fail. The chances to fake confidence under pressure are close to zero unless you are a gifted actor. To stay calm and think straight, every introvert needs isolation from the public. The good news is networking can go online today, without you having to go through the stress of face-to-face interactions. Not only will you feel emotionally comfortable, but will also be able to reach a broader audience than any conference hall can accommodate. Check out ten tips on how to network from your comfort zone. Comment fields are great alternatives to live events for gaining recognition. But you must play it right to make things work there. First off, focus on self-presentation rather than self-promotion. Try to add some unexpected yet well-reasoned facts to the story. It will show you as someone who knows the ins and outs of your niche. Or, better yet, try to disagree with the post author or other commenters if you can defend your viewpoint, of course. Sounding provocative will help you strike up more conversations. Blogs usually enable commenting under social and Disqus profiles, so readers will always see the person behind those witty remarks. As you appear more and more often in front of your target audience, they will start recognizing your headshot. Later, you’ll find it easier to contact them by email. People are more responsive to someone they know rather than complete strangers. While blog comments are better suited for presenting yourself as an industry brainiac, forums and Q&A sites like Quora are great for product promotion. Your target audience hangs out there to discuss their pain points. That’s a perfect excuse for you to show up and share a few lifehacks based on your product use cases. Such a stunt will bring you many leads. As a rule, people join forums only when Google doesn’t suggest any relevant info for their queries. If you stumble upon the same question here and there, most likely no one has posted expert guidance yet. That’s your chance to be the first one who does. I don’t have to explain how cool it is to be a groundbreaker in some field, do I? Writing in solitude is a better fit for introverts than speaking in public. There are many sites that would be happy to accept your guest contribution, but there’s hardly any editor who’ll let you promote your biz directly. Through guest posting, you should share the lessons you learned on your way. It can be a how-to guide, case study, research of market trends, or a roundup of expert opinions, anything that’s not a direct product review. Note that not every guest post gets approved. Editors receive tons of submissions monthly, so yours must outshine others in some way. Make sure your content has a catchy headline, engaging intro, easy-to-scan structure, etc. These tips will help you write articles that people will actually want to read. Be careful at this stage. Don’t submit your biz to every directory that gives you a warm welcome. Some directories you’ll stumble upon are nothing but spam hubs that will make your website’s backlink profile look spammy to Google. A downgrade in search rankings is all you’ll get that way. 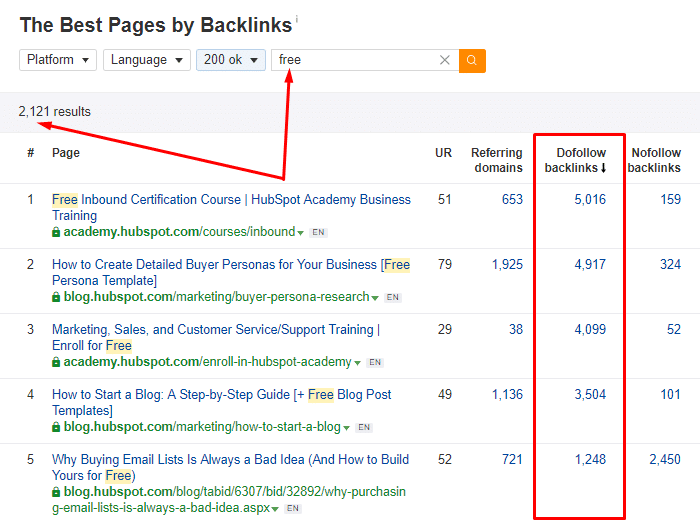 backlink profile (it’s not involved in any spammy link building manipulations). Buying ads isn’t the only way to show up in media. No, I don’t suggest that you get involved in some big scandal to hit the headlines. A safer way to go is to publish a personal opinion on some hot news, which journalists may notice and quote in their editorials. This practice is called newsjacking. Just make sure you don’t use tragedies for your own benefit. Announcing a 20% discount to hurricane victims is an ugly thing to do. Contributing to blogs with established audiences will surely help you make a name for yourself. But the process doesn’t always have to involve third parties. People can come to your site from Google if it ranks high enough to generate organic traffic. 90% of nearly 1 billion web pages analyzed fail to do so. Let’s find out how to avoid such an outcome. First, your content must match users’ search queries. If no one googles your topic, how can they find it? 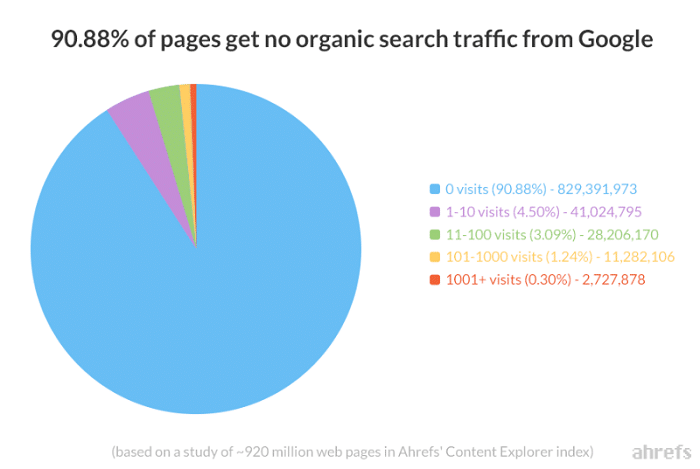 Search volume is not the only metric to analyze, though. Some keywords get tons of searches, but minimum clicks. Others look juicy but are too difficult to rank for. Learn how to skip keywords with little to no potential in this data-driven guide. Second, your website pages must be backed up with backlinks. Google treats them as some sort of content quality verification. If many people link back to an article, it must be good enough to suggest to searchers. I’ve already listed examples of link-worthy content in the “guest posting” section. Just want to add that freebies also attract links like crazy. Bloggers are more inclined to recommend items available at no cost, be it a totally free product or at least a free starting plan of some paid service. The best thing about publishing content on your site is that you’re its absolute owner. 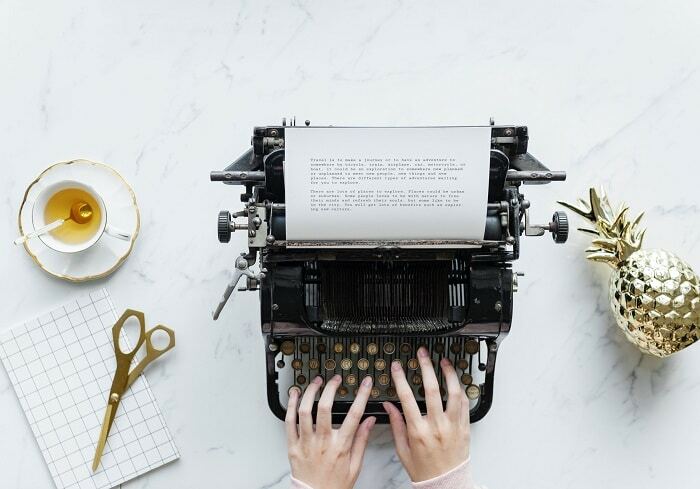 While bloggers won’t let you republish your guest posts in any form, you can use the info from your site more than once. For example, you can gain extra exposure by submitting your articles to platforms like Medium or Growth.org as is, without rewriting a single line. No business is safe from collapse. While some startups grow into multi-billion dollar companies, others go broke and disappear from the web space. Resources linking to discontinued websites end up with a broken link issue, which is no good for SEO. Find web pages with broken links and offer their editors or admins your live page as a fix. That way, you won’t have to sweat over an entire guest post to get a new business mention. Make sure the page you want to get featured on has some organic traffic. Otherwise, there’s hardly anyone who’ll see you there, except for the blog editor or visitor who enters it by a lucky chance. Industry influencers have a lot of followers patiently waiting for their new tweets. 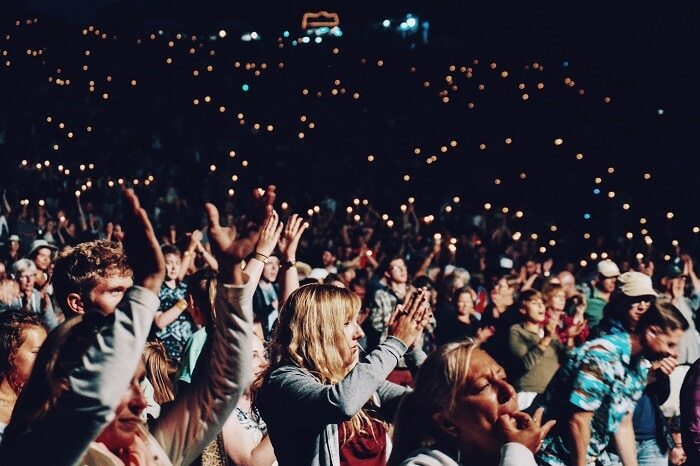 Imagine how rewarding it would be to get your business in sight of those loyal crowds. Unfortunately, the big leagues never care about someone who’s not even close to their level. Some psychological manipulation is justified in this case. Every influencer is a human after all and will be honored to see your interest in their expertise. Just don’t cross the line with obvious flattery. Ask influencers for a quick expert opinion on an interesting, somewhat extraordinary topic. When your post with their lifehacks goes live, they may share it on social media. Your appearance in influencers’ accounts will improve your reputation. There’s no way they would agree to associate themselves with someone shady. Nick Campbell is a content guy behind Ahrefs SERP Checker. He is passionate about technology, SEO, and blogging trends. When Nick is not researching a new topic, he’s probably at some tech event. You’ve read How to Network without Face-to-Face Interactions If You’re an Introvert, originally posted on Pick the Brain | Motivation and Self Improvement. If you’ve enjoyed this, please visit our site for more inspirational articles.